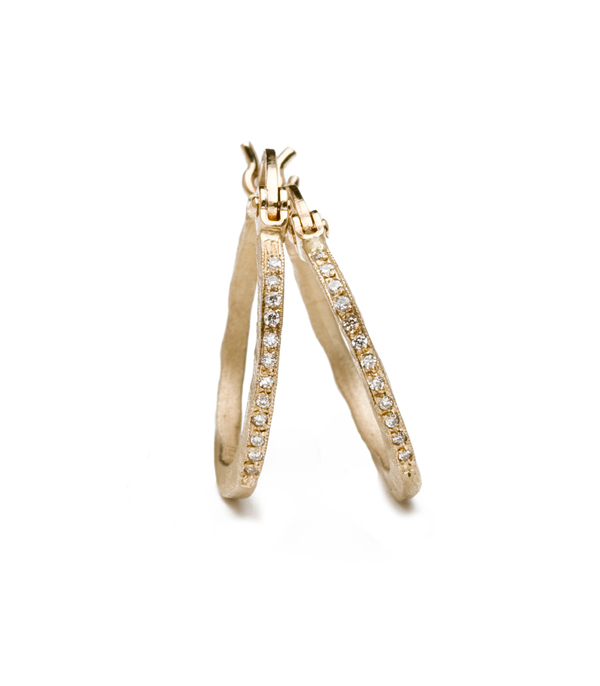 These 14K textured gold micro-pave diamond hoop earrings have a super skinny silhouette. A simple yet beautiful piece for every jewelry wardrobe! Hoops measure approximately 1/2″ in diameter and feature a lever back closure. These subtle earrings would make a delightful gift for the any gal who loves accessorizing.